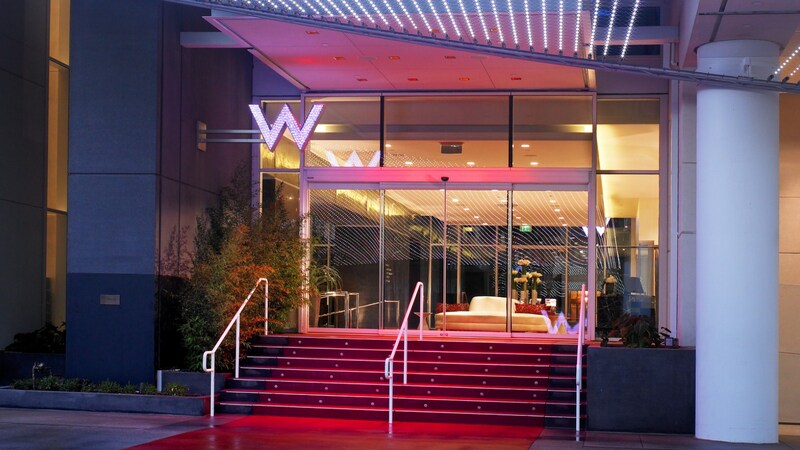 It was early on a beautiful winter day in LA when I made my way to the hall at the W Hotel in Hollywood, CA – where the IFWF was being held this year. OOPS! I meant KFWE LA! Yes, the IFWF changed its name to the KFWE and it turned really Hollywood hip as it made its way down the sunset strip to the W Hotel, home to stars and socialites alike, and now I hope home to the newest kosher wine event star – the KFWELA! If it seems like I have unbridled praise for this event, you would be correct. Recently, someone told me that my style of writing did not work for them; as they state it – your combination of unbridled pull-no-punches enthusiasm, surety of mind, and lapidary form of expression can be grating to me. Though he says it is on him – who knows. If this or other posts are grating, I totally understand and thankfully no one is forced to read my articles – as I have said in the past, I write them mostly for myself – kind of like my own wine diary. Anyway, this post will be filled with “unbridled pull-no-punches enthusiasm and surety of mind“. By the way, if one is not sure of what they think – why write it? I write the way I speak – with assurance and knowledge, if I do not know an answer – I am happy to say I have no idea. Anyway, this event will be engraved in my mind with lapidary precision because it was epic. Still, I am getting ahead of myself – so let us rewind here for a second. the new 2012 Château Le Crock, which was OK.
the epic 2011 Chateau Haut Condissas Medoc, a truly lovely wine. the new 2012 Chateau Giscours, the best NEW kosher wine at the tasting. the new 2012 Domaine l’Or de Line Chateauneuf Du Pape, a very nice wine. 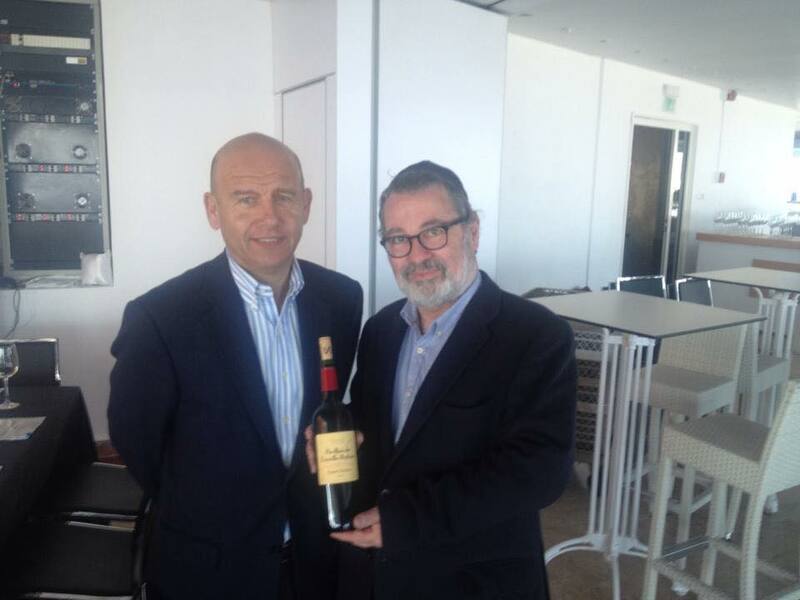 finally, the second best new wine of the tasting – the 2012 Les Roches De Yon-Figeac Saint-Emilion, Grand Cru. It too is a second label wine, but was quite a winner in my book. The food not withstanding, the event was solid and the wines showed very well under the warm Miami day/evening. Once again Herzog is putting on its massive food and wine festival on February 11th, 2015 starting at 6PM. The festival is a great place to get to taste some of those wines that are either beyond your price budget, or hard to find wines, or ones that you pass by on the shelves because you just have no idea how good they are. They will be pouring more than 200 bottles of wines, so be sure to get there early, before the crowds show up. There will be a few new faces this year, with a couple of new wine makers showing up, and a few surprises (think new kosher wineries), from what I hear.For instance the new Titora Winery, located in Modi’in, Israel. It is the newest boutique winery whose products are imported and distributed by Royal Wine Corp.
Of course, there is also the food TO DIE for, from Chef Gabriel Garcia of Tierra Sur Restaurant, Zagat’s highest rated restaurant in a 40 mile radius, and his staff of insanely competent chefs! So please be sure to BUY your tickets here (coupon code is on the link). The wineries pouring will include; Flam Winery (newly Kosher), Tulip (also newly kosher), many wonderful French brands, Alfasi, Barkan, Baron Rothschild, Bartenura, Binyamina, Bokobsa, Capçanes, Carmel, Chateau Leoville Poyferré, Chateau Pontet Canet, Chateau Malartic La Graviere, Elvi Wines, Domaine du Castel, Domaine Netofa, Drappier, Flechas de los Andes, Gamla, Goose Bay, Harkham, Herzog Selection, Herzog Wine Cellars, Louis Royer, Morad, Pacifica, Psagot, Shiloh, Tomintoul, Walders, Weinstock Cellars & MORE! OVER 200+ WINES WILL BE POURED! Also, there will be all the new 2011 and 2012 French wines, many of which are absolutely amazing! Please note that the event is returning to Los Angeles again! The event this year will returning to Los Angeles for its fourth year!! You can once again drink and eat to your heart’s content, and then crash at one of the many rooms in the lovely Hollywood W Hollywood 6250 Hollywood Blvd Los Angeles, CA 90028. So, by now you have realized a few things. One there is a new name to the event, KFWE LA. It carries over the KFWE family name from London and NY and removes the older name of IFWF. The second important fact is that the event has moved from the beautiful and iconic Hyatt Regency hotel to the W in Hollywood. Finally, there are now two levels of tickets, the VIP and the general admission. This is all new, and sounds fantastic. VIP ticket holders enjoy a private lounge featuring fine spirits from Scotland, Russia, Israel, United Kingdom and Mexico. Also in the VIP Lounge, the chefs of Tierra Sur offer gourmet delicacies exclusive to VIP attendees; as well as hand rolled specialty cigars. These ideas carry unique theme event dinners that happen at the Herzog Winery in association with Tierra Sur Restaurant. The events can range from beer night, to whiskey tasting, to cigar night, and many others, check them out here. General admission gets you in at 6PM but does not include the whiskies, special food, private lounge area, or cigars. Last year the event was a smash in the lovely Plaza Pavilion, whose name does not even begin to give the unique 9,000+ square foot space its due. The massive permanent tent is well-appointed, warm, and lovely to behold. 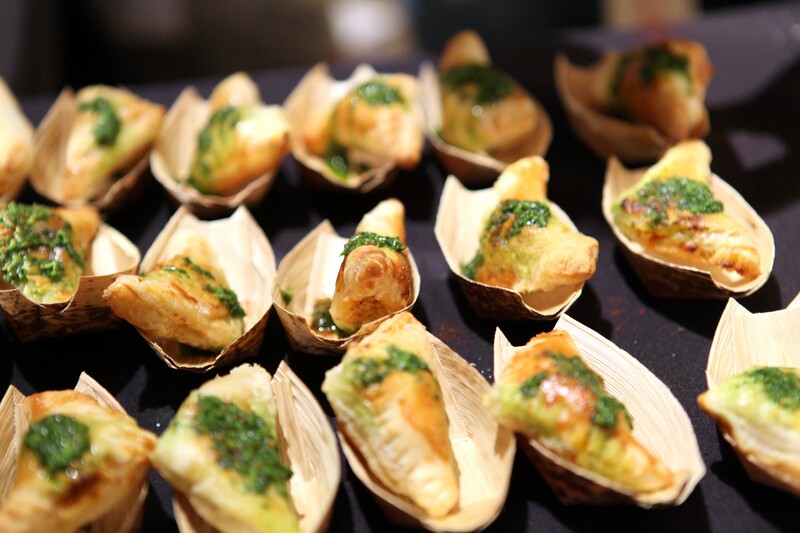 Last year the event was a hit because the space was great and the smoke aromas from the chef’s smoker was outside of the event hall. This year the hall in the W is even larger, and when you throw in the private lounge – you get lots of space, great food and wine, and then cigars and whiskey! Again, do not worry about missing out of the wonderful Tierra Sur Restaurant fare! Chef Garcia will be there with the rest of the crew and they will be serving up much of what they make and serve at the restaurant. Yes Yes, I left the best for last. Herzog is giving out a coupon out for 20% off the ticket price – use the coupon winemusings. Every year we go and every year we are so excited because it gives us a chance to taste the wines and to see what to buy for the upcoming holidays. So grab you mouse and start clicking and we look forward to seeing you all the 2015 Herzog KFWE LA.